This Very handsome cousin of the Wood duck showed up in Burnaby Lake last fall and has been wowing crowds for some time. his photogenic feathers are all the rage at Piper Spit boardwalk. This amorous male has also found himself a North American girlfriend in a female wood duck that he follows around defending from any would be local suitors. 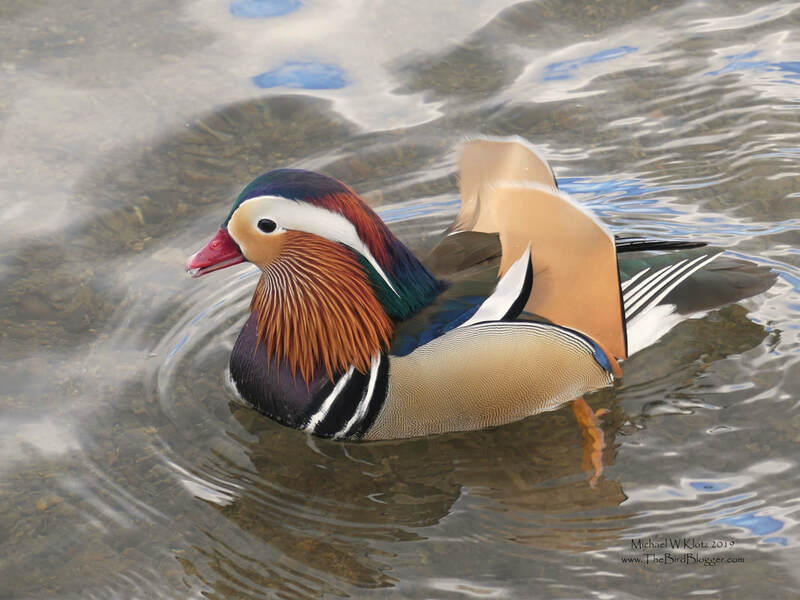 It is believed that this colorful waterfowl did not make it here on his on but was most likely an escapee from a private collection as it would be some distance to come for this bird.